NOLS Instructors Allen O'Bannon and Mike Clelland set out to create a really cool way to teach folks about backcountry skiing, winter camping, and safe winter travel. Nailed it! The effort resulted in Allen and Mike's Really Cool Backcountry Ski Book which is jam packed with information, tips, and comical illustrations. This book is a fun read for any backcountry enthusiast or newbie. 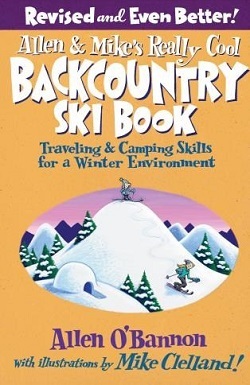 I dutifully read the 1996 original edition of this book when I was first getting started with backcountry skiing and ski mountaineering around then. Searching around now online, I see that this version for sale here was "Revised" in 2007. Reading some online excerpts, the "Even Better" claim is true in the sense only that it is no longer quite as outdated and inadequate as the original version. I've given it three stars only because some of the tips on cold-weather winter camping can be useful to newcomers. But the equipment focus is still biased toward the low-performance end of the spectrum. And the avalanche section is a poor substitute for reading one of the Tremper books, or even just the chapter in the Volken et al. book. Speaking of which, before buying any instructional book for backcountry skiing and ski mountaineering, first read the Volken book. If after reading Volken, you still want some additional reading in more specialized subjects, then expand your library for books on crevasse rescue, technical climbing, etc. 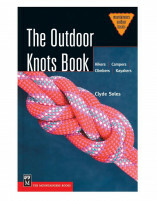 This book might fit that need for winter camping, but not for the strictly ski touring daytrip aspects of the sport.